The exploration of text and story deepens understanding of one’s identity, others, and the world. Who am I? How do I define myself ? How does my identity change and evolve? How does making connections between text and self deepen my understanding of my own identity? How does understanding my own identity help me to connect and empathize with others? Read aloud of all short stories: focus on the understanding of identity, not individual reading and decoding skills. Student choice in texts/sources: poetry, short stories, novels, web articles, non-fiction, movies, songs, documentaries, TV shows etc. Student choice in the presentation of the Personal Profile: blog, website, Prezi, PowerPoint, Show Me, Vlog etc. Use techniques to check for understanding: exit tickets, quizzes, student interviews, observation, mini group presentations etc. 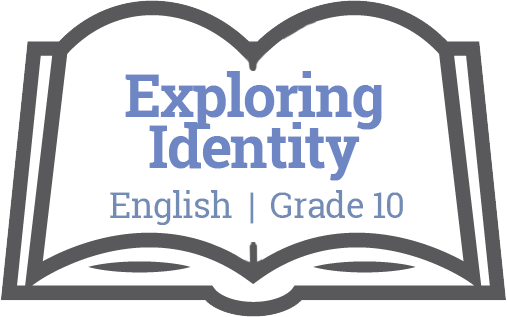 This unit will use the Short Story genre to explore essential questions around identity and deepen student understanding of themselves and their connection to literature. The unit could also be used with poetry, a class novel study, or literature circles. Identity could also be the overarching, theme/big idea for the entire year of study in English 10. The interdisciplinary links between Art and Socials could be explored and used to enrich the learning events and support the transfer goals. Dance, Drama, Music and Visual Art offer unique and dynamic ways of expressing and exploring one’s identity and sense of belonging. Our changing world presents challenges for First Peoples in maintaining their identities and worldviews.